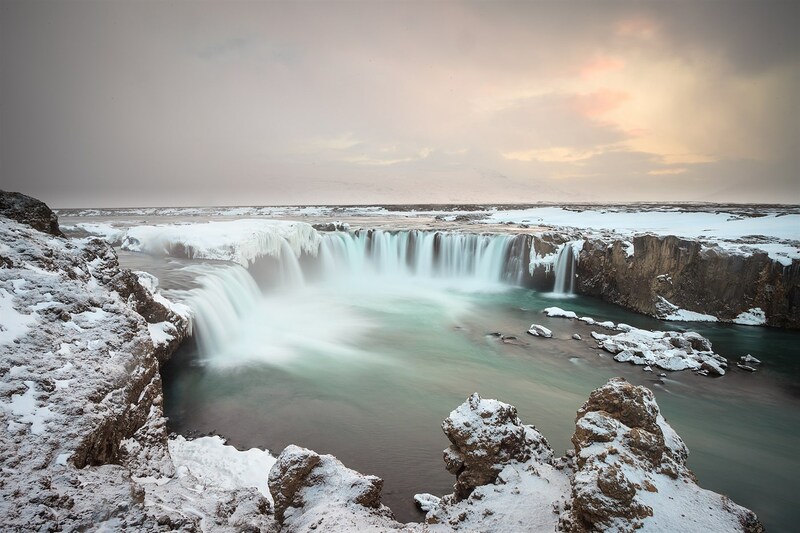 During the snowstorm which is invisible thanks to long exposure standing on the edge of the dramatic river fall you feel the powers of nature much more intensively than anywhere else. No kidding. The fresh snow lowered the scene contrast and allowed to shoot without a need of multi-exposure.